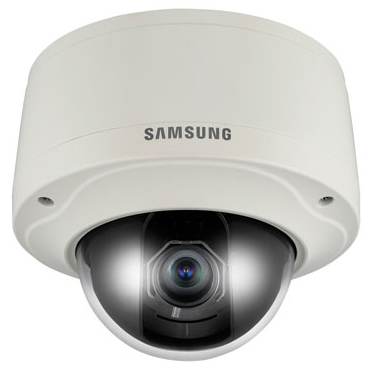 The Samsung SNV-3082 is a compact vandal-resistant network dome camera with WiseNetS DSP chipset at its core featuring Wide Dynamic Range . This technology it is able to tackle challenging lighting conditions in order to display an well-balanced image across the entire scene, making it suitable for areas that have strong light/dark contrasts. It features Super Dynamic Range that balances the overall brightness by illuminating the darker areas to the same ratio as the bright areas. With 2D/3D filtering noise reduction technology, the camera offers color images in dimly-lit areas with reduced noise in the picture, thereby saving storage space. Automatic gain control adjusts the signal strength to maintain a constant brightness level, and auto white balance adjusts the red and blue signals by taking a standard white color reference to get the most natural colors. The Samsung SNV-3082 has many exciting features for users of all types. 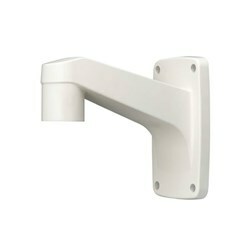 FactoryOutletStore stocks a full line of accessories like Wall Mount Bracket for the Samsung SNV-3082. The Samsung SNV-3082 is sold as a Brand New Unopened Item.